Immune to non-Fellowship player card effects. Gollum engages the first player. 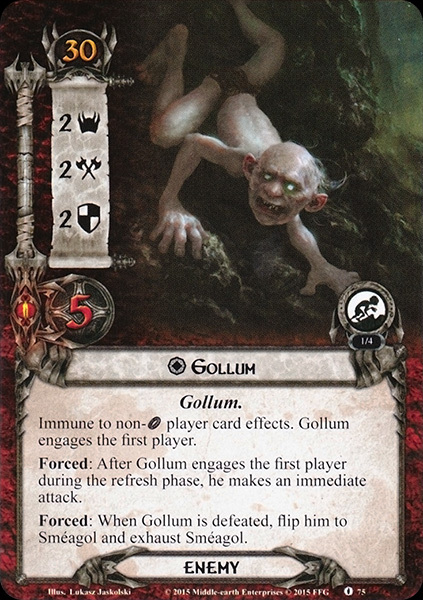 Forced: After Gollum engages the first player during the refresh phase, he makes an immediate attack. Forced: When Gollum is defeated, flip him to Sméagol and exhaust Sméagol.